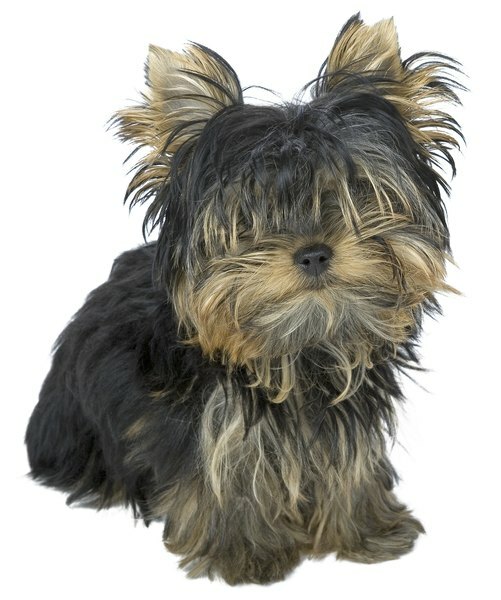 Miniature Yorkies learn quickly with positive reinforcement and repetition. Miniature Yorkies are conditioned for potty training because their mothers teach them shortly after birth to relieve themselves outside of where they eat and sleep. Continue this teaching with a strict potty training schedule and a lot of positive reinforcement and your young pup will catch on in no time. Walk your miniature Yorkie out to relieve herself in the same spot every morning. Puppies feel most comfortable potty training in a spot that smells, looks and feels familiar. Reward your Yorkie after she relieves herself outside. Miniature Yorkies learn best with positive reinforcement and affection, so give her a treat or her favorite toy each time. Stay consistent with your potty training schedule. Puppies need to go outside to relieve themselves five to 30 minutes after each meal. Always take your pup out first thing in the morning and before dinner. Yorkies catch on much quicker with repetition, so stay on this schedule until your pup is fully house broken. 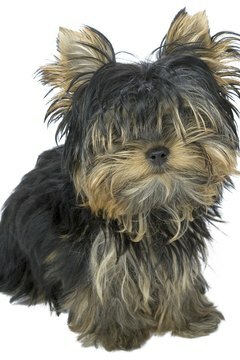 Never punish your miniature Yorkie for relieving herself inside. Stay calm and take her out to her designated potty training spot immediately. Don't use commands or rush your pet when she does her business. Adding stress to the situation likely will make the training take longer.